Post Office Apt - Fergessen Mgt., Ltd. The main entrance is a walk up from the back of the building just off the huge parking area. The back porch over looks a 9 acre pasture, brook and mountain. 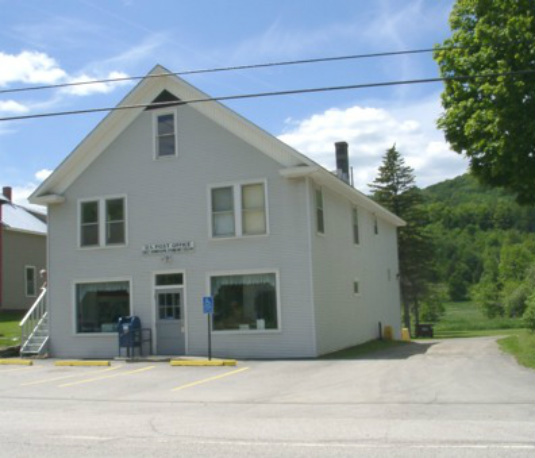 Located on Route 14, 12 miles to VLS, Exit 4, I-89 just a few miles away. At 12 miles from S. Royalton, it is about a 15 minute drive to VLS and 5 minutes from VTC. and use the second bedroom as a large study or room for a child. Or for two roomates, there is enough room not bump into each other. and your mail is safe with them! Appliances : range and refrigerator.